Soon after the introduction, Tikku brilliantly covered 'How to Overcome Trauma' in four parts. In these short chapters he has given many points that seem imminent for the people struggling to come out of any sort of trauma that life has given them from time to time. Through these pointers the author sounded a bit like a saint, but you cannot neglect their veracity. Whether you accept or not, you need to heed on these points. 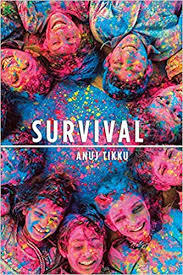 Other than coming out of his trauma content, Tikku has some of his personal anecdotes to share with us, like glimpses of charity abroad and so on. The book does not follow any chronicles or point-wise system, it seems like whatever matters to author to calm him down from distressed, he has put in there. As you read, you will literally discover that Tikku has subtle inclination for Buddhism, which is all the more evident when he explains the four novel truths. The book reads like posts from blog(s), thus it’s easy to grasp all content and understand in one go. It is a fine blend of spirituality and self-help. Some of the topics sound out of context, but given the fact that the book is written by a rising blogger all is fine in the end. Final verdict: there is lot of stuff that you can discover from this book which will help you in becoming a good person in longer run.